What is a crdownload file and how do I open a crdownload file? CRDOWNLOAD files are associated with Google Chrome Web Browser, which was originally released in Beta form in 2008. Files which are being downloaded are stored with the contents of partial files while Chrome is downloading them. Files with the .CRDOWNLOAD extension are incomplete. 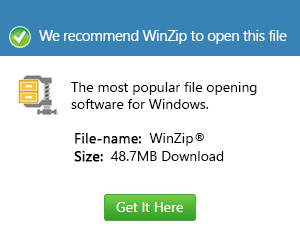 The extension name is removed once the download has been completed, which indicates that the file is ready to be opened. If the Chrome download was interrupted before download was completed, it is possible that you may be able to recover a portion of the file by removing the ".crdownload" extension and trying to open the file. For instance, if a portion of an audio or video file was being downloaded, it may still play a portion of the file, even though the files are not yet fully downloaded. Some users who wish to begin immediate playback of a file being downloaded, either rename the file by removing the .CRDOWNLOAD extension, or will actually alter the code of Chrome, so that the browser doesn't rename the file being downloaded. There are detailed instructions on the internet describing the steps necessary to eliminate the .CRDOWNLOAD file extension for the specific version of Chrome being used. Google Chrome is a freeware web browser developed by Google. It utilized the WebKit layout engine until release 27 of the product and, with the exception of its iOS releases, from version 28 and beyond uses the WebKit fork Blink. Google releases most of Chrome's source code as the open-source project Chromium. A significant component which is not open source is the built-in Adobe Flash Player.